Esri enhanced its ArcGIS technology to simplify the use of free global imagery from the Sentinel-2 satellite launched by the European Space Agency. ArcGIS supports visualization, interpretation, and analysis of Sentinel imagery, which is of significant value in applications for forestry, agriculture, land resources management, and environmental monitoring. "Scientists and GIS professionals rely on consistent access to high-quality imagery data and information products for a range of applications in their work observing, modeling, and predicting Earth systems," said Lawrie Jordan, Esri's director of imagery and remote sensing. "Sentinel imagery can also be enhanced by the Landsat imagery already available in ArcGIS Online, which provides additional temporal depth." One of the unique capabilities ArcGIS offers is that it can work simultaneously with a wide range of spectral bands and indices at different resolutions. ArcGIS has image processing and analysis tools that allow people to view and analyze all types of imagery. Institutions, organizations, and startup businesses use ArcGIS to manage, analyze, and share imagery and applications related to land monitoring, maritime, climate, and security issues. For those working with a large collection of images, Esri released an image management workflow for Sentinel. The workflow ensures that Sentinel scenes can be quickly served as dynamic image services, making the full information content accessible to applications for use on desktop, web, and mobile devices. All processing is applied on the fly, with no intermediate storage required. 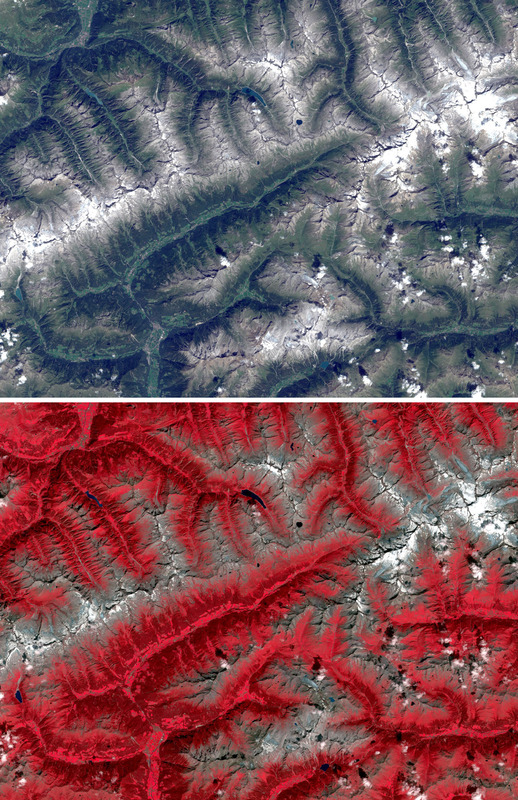 "The single-button image management workflow tool is an easy way to share and provide access to a wide range of derived Sentinel-2 imagery products," said Jordan. Find specific and technical details on the Esri blog.